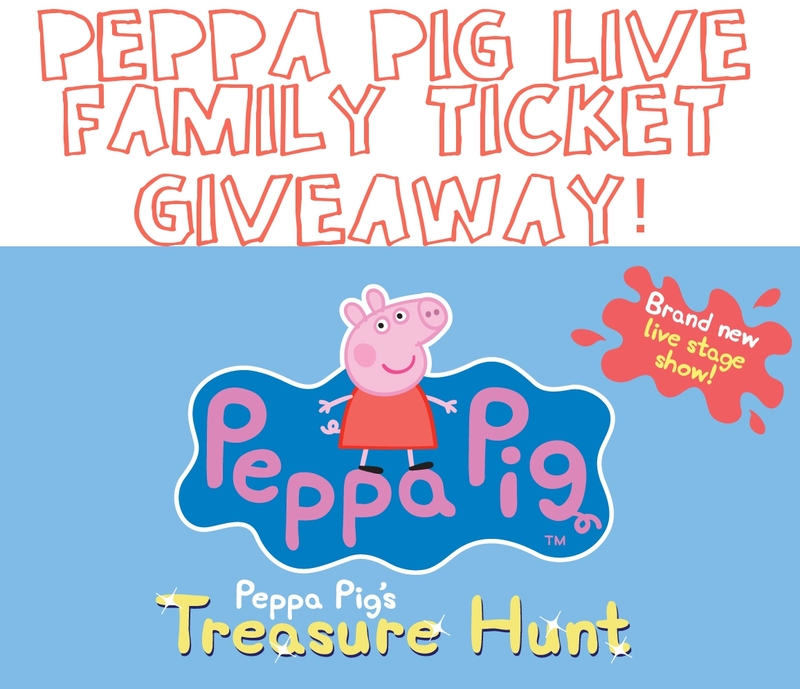 Peppa Pig Live Tickets Giveaway! I don’t really mind, she isn’t emulating the grunty snorts and there ARE worse characters to love- at least Peppa is feisty and strong and independent, eh? And I suspect she’ll grow out of this amore by the time it comes to choosing a life partner. When Ramona saw the poster for Peppa Pig Live at the Criterion Theatre she was enthralled. It was pinned on the notice board at Tim’s rugby club and I couldn’t budge her. She stood in front of it, mouth open, gob smacked that Peppa Pig had followed her here! Of all places! The winner will be picked by random selection on Friday 30th November, at 9pm. And if you don’t win you can buy tickets from www.peppapiglive.com for showings between 6 December and 6 January. Thank you and good luck, my friends! And the winner is…. KAROLINA! I have emailed you 🙂 Congratulations! So sorry to the non-winners, I wish you many hours of joyful Peppa Pig viewing on Youtube instead!!! Posted in Parenting and tagged blog, criterion, family, free, giveaway, peppa, Peppa Pig Live, pig, show, theatre, tickets, treasure hunt. Bookmark the permalink. Ah, what is it about Peppa Pig?! My 3yo is also a huge fan – as is the neighbour’s 2yo. (Sadly, my kid does indeed do the snorty noises. Hilarious, apparently.) So yeah, we’d love the tickets! So basically I’m in love with you and your wonderful blog! 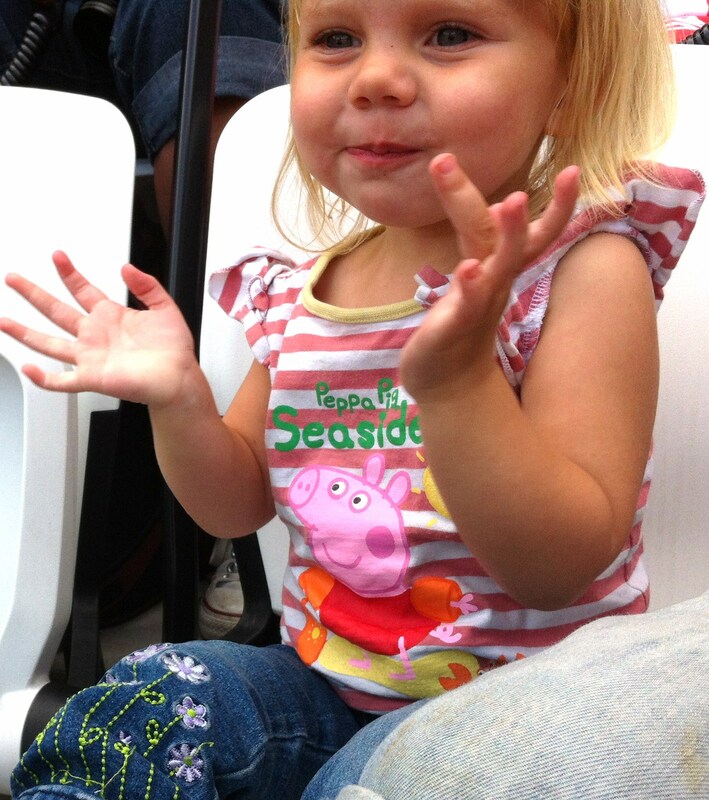 The reason winning tickets to Peppa Pig would be especially special for us is because we really love watching her too. My little treasure Iona would be so so thrilled. OMG OMG OMG how I lived in your amazing part of the world, my lil man is obsessed with Peppa pig, he is getting the soft toys for Christmas, and I am getting a custom made MC nappy made for him with the whole family on it….but sadly I live in lil old NZ! Hope you and the lil lady greatly enjoy it!!!!! *how I wish I lived…. Hi Lucy! Francesca comes in the door of the house and every time says: ‘I watch Peppa Pig please mummy?’ . She does the snorts, sings the songs and today even recited quite a bit of the episode word for word! I think she would be beside herself with excitement should we be the lucky ones to win the prize! Also, mummy and daddy don’t mind watching either – can be quite amusing! My little Sid has been the best big brother to his 5 month old twin sisters. It’s been really hard for him sharing his mum. Sid loves peppa pig and muddy puddles. What a treat it would be to win the competition! My daughter turned 2 today and has just discovered Peppa pig. Your offer is fantastic and would be most appreciated by a little one (and of course her parents!) especially so near to Christmas I’m sure her big brother would love to go too. I’d love to go because my girls, me and their dad too jumping in muddy puddles! Hi, really enjoyed reading your blog and I think you little girl Ramona is super cute! I entering in chance to win some tickets for my friends who have children and thy love Peppa Pig! I think it would make a real nice Xmas present! Thank you and good luck with everything!! Oh Peppa Pig – you and your chums mean the world to my daughter. She would love to see the show. We’d love to go to see Peppa on stage, my daughter has been obsessed for a year and shows no sign of growing out of her love at all, Peppa bubbles in the bath, Peppa in her bed, Peppa spaghetti for tea. you name it, we love it!